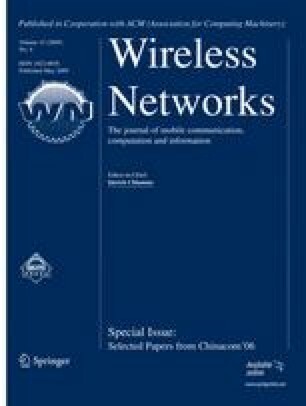 In this paper, we study time-parallel simulation of wireless networks based upon the concept of the perturbation induced by a networking event and present a layer-by-layer analysis of the impact of perturbations on the wireless network. This analysis allows us to propose several methods to improve the accuracy of time-parallel simulation. We describe an implementation based on the widely used ns-2 simulator and on the iterative extension of the warmup period. We introduce a method for initial state approximation which can improve the accuracy of the simulation for table-driven ad hoc routing protocols. A series of experiments show that on typical scenarios time-parallel simulation leads to a significant speedup while maintaining a high level of accuracy. The research reported in this paper was partially supported by National Science Foundation grants ACI0296035 and EIA0296179. One of the authors (dcm) acknowledges support from the Science Foundation of Ireland (SFI) through a 2007 Ernst T.S. Walton award. PDNS – Parallel/Distributed NS. URL http://www.cc.gatech.edu/computing/compass/, 2004.